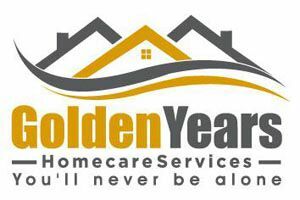 At Golden Years Home Care Services, we understand that every individual has individual care needs. Therefore, we offer you a personalized solution that has been designed keeping your precise needs and expectations under consideration. In addition to our personalized services, our systematic approach towards the entire process has helped us ensure 100 percent satisfaction of our clients. If you’re considering opting for our home care services, here’s what you should expect on your visit to our office. We begin by discussing your expectations and needs and help you find clear and concise answers to your questions about our home care agencies. Next, our experts review the care needs of your loved one. When required, we may consult with the physician(s) of the care recipient, social worker, hospital, or their nursing staff to get a complete and accurate picture of their home care needs. We then select an experienced, skillful, and compassionate home elder care provider based on your expectations and the care needs of your loved one. Upon completion of this quick but comprehensive process, you leave our office completely satisfied knowing that the care needs of your loved one will be taken care of with professionalism and compassion.